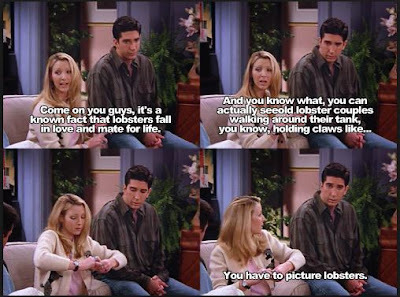 Looking for an original and edible Valentine’s gift idea? Look no further. 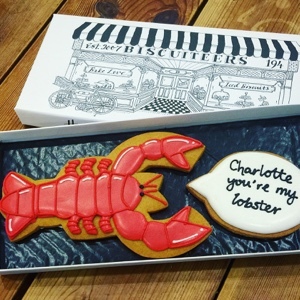 Forget paper cards - this personalised lobster biscuit by the Biscuiteers serves as an afternoon snack and card all in one. Allowing you to declare your love with the lobster's personalised speech bubble, this hand-iced vanilla biscuit certainly caused a stir on my Instagram. For the die hard fans out there, you could even use this card for a proposal - it would certainly be memorable! 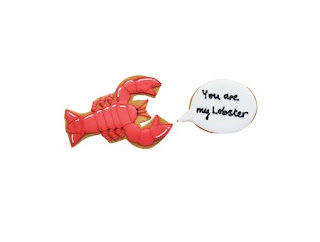 Remember: roses are red, violets are blue, and a hand-iced biscuit is just for you (hey, it wouldn't be a Valentine's post without a rhyme...). To make things even better, there's free standard delivery valid until tomorrow (Tuesday 9th Feb) - enter FDVALENTINE at the check-out to redeem.